Kassiopi Beach, Corfu Island, Greece. “Luxury” and “budget” don’t always mix, but there are certain special occasions when taking the low-star road isn’t quite what you want—think proposals, anniversaries and honeymoons. However, they don’t need to be mutually exclusive. Here are some tips on how to enjoy luxury travel on a budget and live the high life while sparing your bottom line. Deals on Arbnb for outstanding accommodations are there for the taking—you just have to do a little patient surfing. You can actually book a 16-room castle on the outskirts of Paris for about $153 US a night—very hard to beat! The Chateau de Miserai is a gorgeous country retreat with plenty of space for a grand family stay. Europe is still absolutely gorgeous in the fall, after the summer crowds have thinned and before the winter chill sets in—that’s the famous shoulder season, the month or two in either direction between high seasons. Not only will you be spared the hordes of selfie-stick tourists and long lines at major attractions, but you’ll find accommodation prices and airfare have gone down. If you have the flexibility, we highly recommend this option for luxury travel on a budget. Why not save yourself the airfare right off the bat and enjoy staying in your own back yard? The money you save can go to a fabulous weekend (think spa suite, massage, breakfast in bed… the full Monty!) For example, if you live in Phoenix, consider driving north a couple of hours to Sedona, where you can book a stay at a hotel right on Oak Creek Canyon or deep in the wilderness at a five-star spa resort—and get there for less than a tank of gas. Beach getaways can be costly, but thanks to the strength of the US dollar you can enjoy affordable coastal vacations in far-flung—and not so far-flung—destinations. 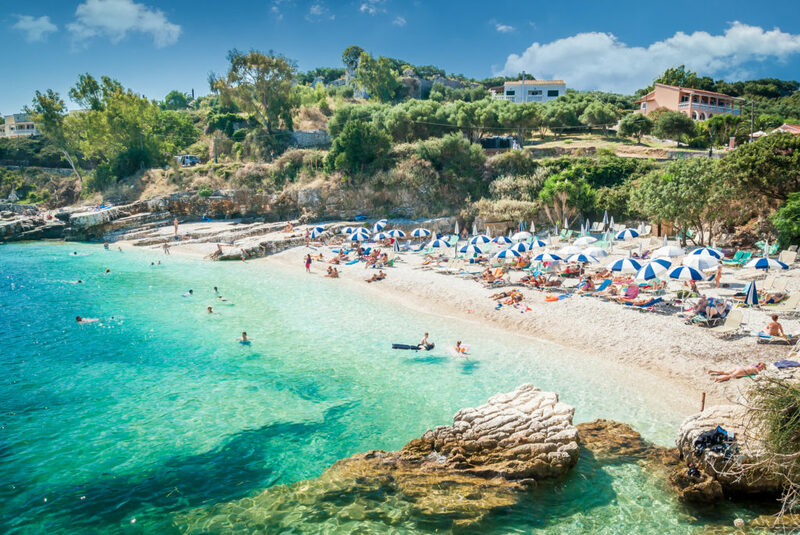 Think Corfu, Greece, for luxury travel on a budget: picking this island over the more popular jet-setting destinations of Mykonos and Santorini can score you some well-priced accommodations and restaurants that will be well within your budget. And, you’ll still be on a Greek island, enjoying a dream come true. With a background that includes stints on the mastheads of an eclectic collection of Spanish- and English-language magazines, Lydia continues to indulge her love of writing and travel as Strategic Content/Social Media Manager for SkyMed International. ← Top 5 Motorcycle Rides In The U.S.A.